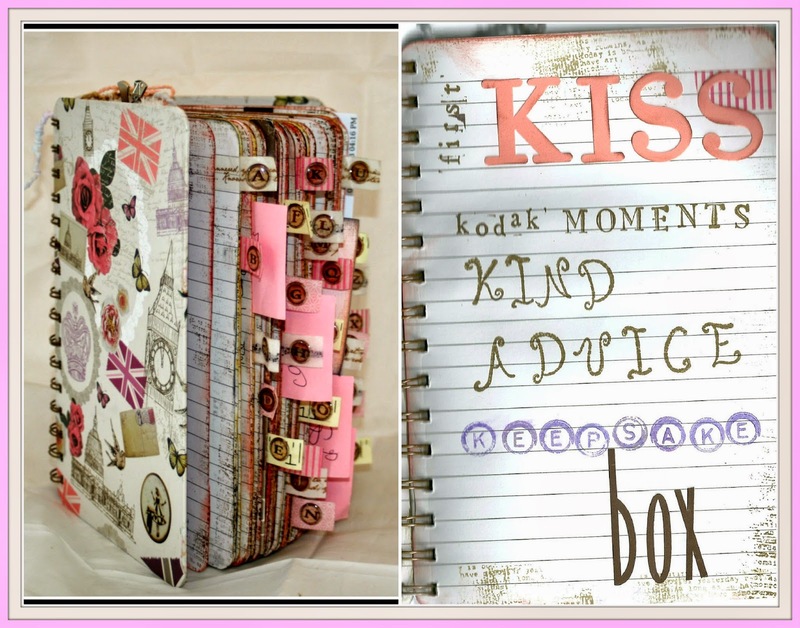 Keepsake Box - Unless it's your first visit you'll know I am a crafter and a scrapbooker. Having somewhere - beautifully decorated to keep all the mementoes, photos, invites and replies, quote hearts, and other paraphernalia is so important to me :) Will add a photo once I have made it! Not top of my list at time of writing - 101 things need doing for the do itself! I love making keepsake boxes, although I haven't done one since I was a kid. I still have them too. I'm a thrower outer and don't keep cards etc, but I know it's becoming popular again. Love the saying in your banner by the way, very nice. I'm almost caught up with returning blog visits from when I was away at the start of the a-z challenge. Hope you're enjoying the a-z, and congrats on your anniversary. Hubby and I will celebrate our 42nd this coming summer. At one gathering we gave the kids one of those disposable camera. We had tons of pictures of people nostrils! Great perspective kids have. We thought about those cameras, but apparently really expensive to print, so keeping fingers crossed that people use the I-Spy lists. I am definitely a keepsake box kind of person. I have a chest in my room where I keep old treasures and things of that nature. Wonderful post! Happy A to Z. Thanks :) I must admit I used to keep everything, I now keep slightly less - not quite a hoarder LOL! Kodak Moments. Interesting how words get into our lives and take over. For example when was the last time you (or me or anyone) owned a Kodak camera. I guess today it would be an "Instagram moment"! or a "Tumblr moment".